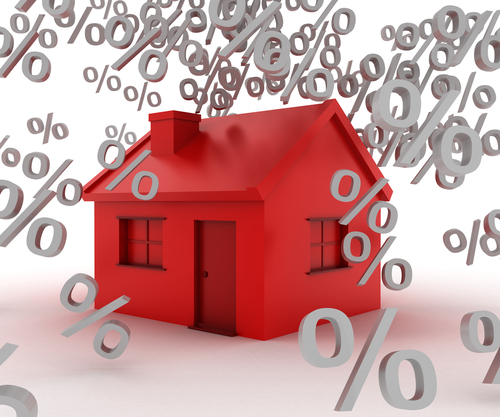 Mortgage rates are higher today, leaving September as one of only 3 months this year with noticeable upward movement. And today was an exception to that recent trend, but it’s tempered by the fact that yesterday’s gains were the best of the month. The only downside is that the most prevalently-quoted conforming 30yr fixed rate for top tier borrowers remains 4.25% whereas it would have likely moved to 4.125% if rate went the other direction today. These movement considerations may be small scale compared to what lies ahead. Several big tickets events are coming up in the second half of this week and they stand a good chance to increase the level of volatility. This entry was posted in Adjustable Rates, Before you start looking for a home!, Beware!, Borrowers, Broker, Broker Sandy Flores, Budget, Buying, California, California Home Sales, California Schools, Cash, Closing Costs, Construccion, Conventional Loans, Distressed Homeowners, Down Payment, Expensive Homes, Experian, Fannie Mae, Federal Housing Administration, FHA, FHFA, FICO Score, Financing, Flores, Foreclosure, Freddie Mac, HARP, HELOC, Helpful Tips, High Dollar, High Priced Markets, Home Loans on Demand, Home Mortgage, Homeowners, Homeownership, Housing Advocates, https://www.facebook.com/SandyFloresBroker, HUD, Investment, Jumbo Loans, Jumbo Mortgages, Leaders, Leading your way Home!, Lenders, Loan Origination, Loans, Los Angeles, Markets, Miscellaneous, Money, Mortgage Forgiveness Debt, Mortgage Insurance, Mortgage Products, Mortgages, News, Orange County, Rates, Real Estate, Real Estate Broker, Realtor, Refinancing, Renters, San Diego Real Estate, Sandy, Sandy Flores, Sandy Flores Blog, Sandy's Blog, Savings, Schools, Sell Faster, Sellers, Selling, Short Sale, Short Sales, SoCal, Southern California, Trulia, Uncategorized, US, USDA, Wealth, Wealthy Borrowers, Wealthy Sellers, Why NOW is a great time to buy a house!, Why this is a great time to sell your home?, Why to check on your Interest Rate & APR, Zero Closing Costs, Zillow and tagged Adjustable Rates, ARM, Beware, borrowers, Broker, Broker Sandy Flores, Credit, Distressed Borrowers, Facebook, fixed rate, Flores, Get a More Favorable Mortgage, Getting The Best Home Loan To Purchase Today, Home Loan on Demand, homes, How to get the best price for your home, How to invest in Real Estate, https://www.facebook.com/SandyFloresBroker, Income Property, Los Angeles, mortgage rates, Mortgages, News, noticeable upward movement, orange county, Rates, Real Estate Investments, Realtor, Redfin, Riverside County, Sandy, Sandy Flores, Sandy Flores Blog, Sandy Flores Broker, seasonally adjusted annual rate, Trulia, Twitter, Wealthy Borrowers, Why NOW is a great time to buy a house!, Why this is a great time to sell your home?, Why to check on your Interest Rate & APR, Zillow. Bookmark the permalink. ← Septiembre: Notable crecimiento en la confianza del consumidor.